As the morning sun rose over a sleepy Nuneaton, the employees of Messrs Stanley Bros were arriving at the local station excited about the days treat, an outing to Blackpool. Two trains were laid on by the Midland Railway Company under the charge of Inspector Ellis and Moseley and paid for by Mr R Stanley. The 1300 workers and 50 office staff members (who accommodated the two saloons on the second train) set off at about six o'clock in the morning, taking in the scenic views of the peak district along the route. Unfortunately Mr Stanley wasn't strong enough to participate in this years day of pleasure, but I'm sure he was happy for his workers to enjoy the day without him. taken from www.oldclitheroe.co.uk for illustration purposes only. On arrival at Blackpool Central, just four and a half hours after they left, the office staff were treated to an early lunch at the British Workmen Temperance Hotel, situated across from the station. It could hold up to 1000 diners in one sitting and at the time was an alternative and cost effective place to eat for hungry teetotalers. The rest of the party split themselves up. 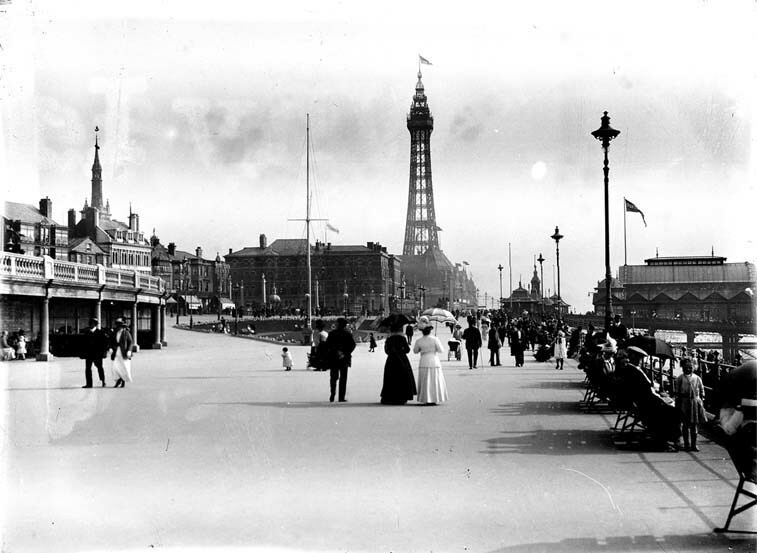 Some headed for the water and a dip in the 'briny', Blackpool water was the place to bathe in the late 19th century. 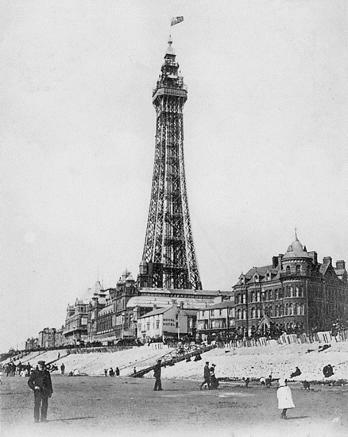 Another group of revelers boarded boats to Morecambe and Southport, while a large number made the daunting walk up England's version of the Eiffel Tower (the tower had only been open just over a month (14th May 1894). This must have been a wondrous sight for the men of Nuneaton and at just 6d was worth every penny. For those employees who wanted a relaxing day, they had the chance to sit down and listen to the delightful sounds of an orchestral band with members of Sir Charles Halle's world famous combination. The more energetic could spend time in Empress Ballroom of the Winter Gardens dancing to the music of the day or visit the Opera House Theatre or even take a ride on the big wheel. After a long days frolicking at UK's premier seaside town, they headed home at seven o'clock returning safe and sound. The weather throughout the day had been superb. What a way to spend the weekend, many I bet had not seen anything like it before. What a generous offer by Reginald Stanley to his employees but.......don't forget back to work on Monday.